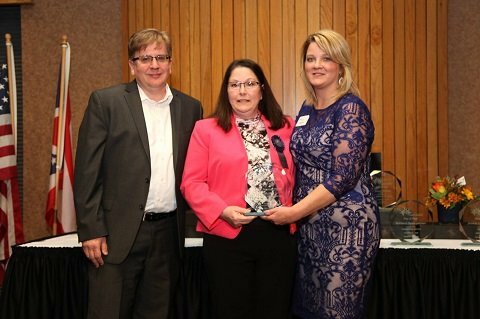 For the past 16 years, Sylvania Area Family Services has recognized individuals and organizations that make a difference in our community with the Ray of Hope Awards. TBIRC is proud to announce that Jackie Moore, co-founder of the center, has been selected as one of the 2018 recipients. The award was presented on Wednesday, October 17 at an event held at The Pinnacle. In accepting the award, Jackie thanked Matt Hall, for nominating her and the center. She also recognized the tremendous support of the community and Mercy Healthcare, the center’s partner.